Home • Blog • Hampshire Fundraising for Denman! Ticket will include tea/coffee, homemade lemonade and cake. This event is open to all, not just WI members. 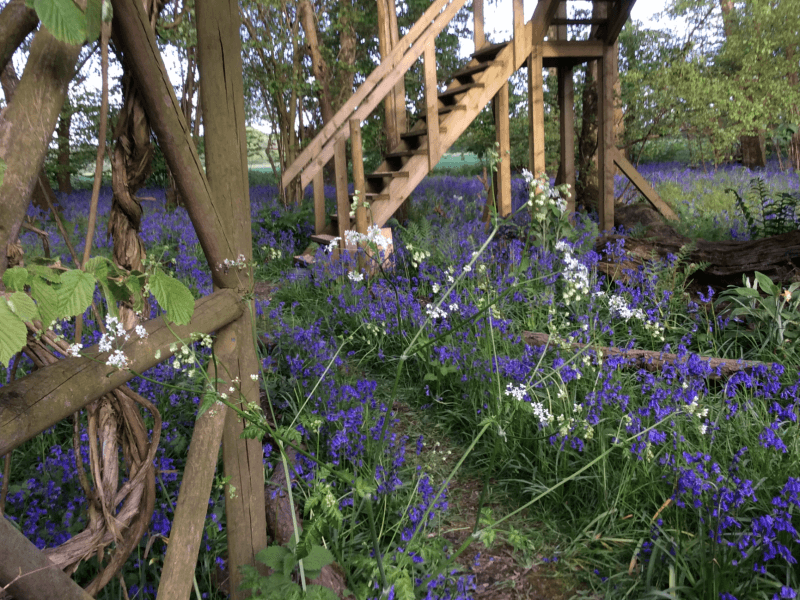 Barbara Jeremiah, of Herriard & Lasham with Bentworth WI, has kindly offered to open her beautiful bluebell garden set in ancient woodlands, part of The National Open Gardens Scheme, to raise money for Denman. The cottage and gardens have been featured in ‘Period Living and Hampshire Life’ and covers two acres with an open glade outside the cottage. During this fundraising event, walk around the clay pits from which bricks used to be made, admire the fernery and the stumpery with upcycled tree roots, and the peaceful feel of the garden. Children under 16 are welcome, they’ll love the tree-house and rustic arches around the property! Brick Kiln Cottage was the home of the brick master to the Herriard Brickworks and is over 300 years old. Part of the garden has old square bricks made from the clay in the garden, set in a checkerboard design, which is filled with herbs. Many of the garden features are recycled and Barbara’s latest project is to restore an old shepherds hut. Pots contain spring bulbs and the whole ethos of the garden is to attract bees and wildlife. Come and enjoy the raised fruit beds, vegetable potager, pebble gardens with shady arbour and a delightful cottage garden. The garden is mostly south facing and has been created by Barbara and Kay Linnell lovingly over 24 years. Their ethos is to enhance nature and create a haven – which they certainly have. 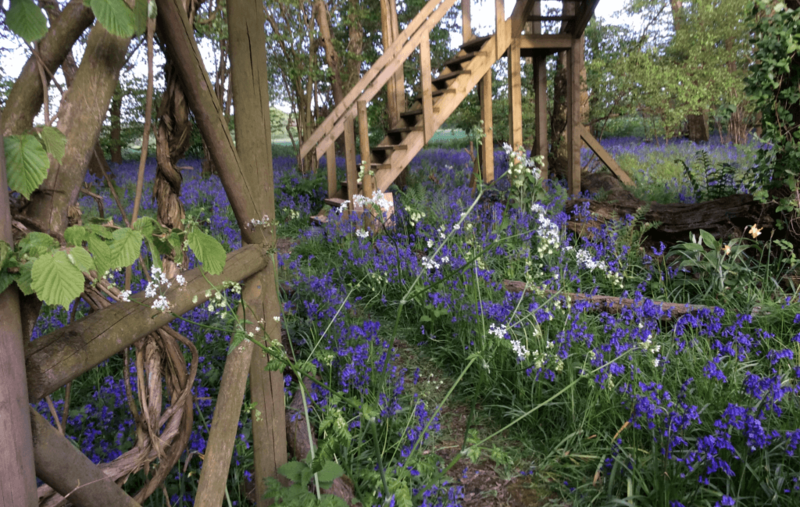 They fell in love with the cottage and garden and have managed the woodland and worked with the environment to create a peaceful garden to relax in. Barbara is a liveryman of the Worshipful Company of Gardeners and a talented textile artist, well placed to create and design with flair. It is an honour to be able to able to visit this unique garden. There will be designated disabled parking and plenty of room for further cars behind the cottage in the woods. Please note the woodland walk is not suitable for wheelchairs. Do join us on Sunday and enjoy a delightful garden designed by inspiring ladies.